In Cuba, I discovered Hemingway. By clicking on the following, you can find posts about his house, garden, animals, favourite bars and a collection of photos. 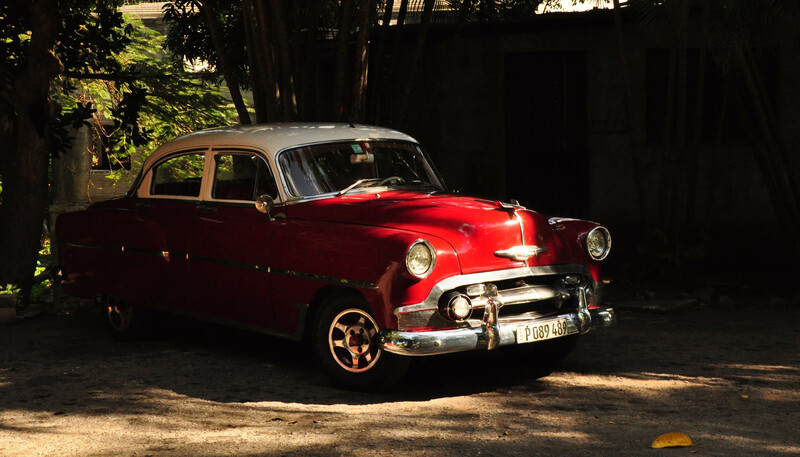 In his house in La Havana, there was a bright red car, shining through the undergrowth, waiting. Was it Hemingway’s car? Doubtful. But I like to think that it was. His very own car, parked tidily, forever watching the main gate and waiting for him to return.